One of the best ways to see any country is by motorcycle. 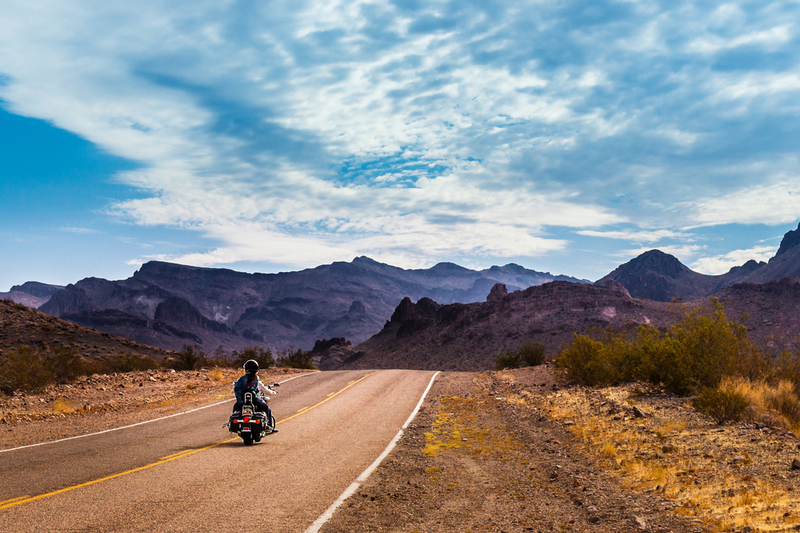 Here are the most popular motorcycle routes in North America. Carmel to Morro Bay. This scenic trip starts up in Big Sur and takes you on Pacific Coast Highway south for 120 miles of spectacular cliff and ocean views and the freshest air anywhere. Warm clothing is needed for foggy weather. Summer weekends are the busiest time of year so stick to weekdays and other seasons. Nervous riders may prefer the riding this route northbound and stay next to the mountain instead of the cliffside. Beartooth Highway in southeastern Montana is best for riders wanting a roller-coaster with hairpins and switchbacks. Passing through both Custer and Shoshone National Forests, it’s filled with snow-capped peaks, lakes, and alpine meadows. The route descends to the northern gateway of Yellowstone National Park. A weather check before you leave is advisable. Reach Peak to Peak Highway 119 by going north out of Golden. It’s a 60-mile strip with twists and turns and scenery that only Colorado’s Rocky Mountains can offer. Springtime brings the alpine meadows to full bloom beauty, but stay focused and keep your speed down as moose and elk are known to enjoy it as much as motorcyclists. Great for camping, or trail hiking to stretch your legs.